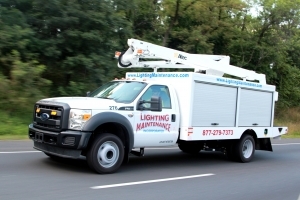 Commitment to Safety | Lighting Maintenance Inc.
We have a full-time fleet manager and safety staff to ensure safety precautions are instilled in all of our employees. In an effort to build a hybrid futuristic safety program at LMI, we aggressively grade and score driving records and encourage feedback and participation from all employees. For many of our staff members, safety has become a lifestyle, a personal choice of how they live and interact daily with their community, workplace and fellow employees. Our fleet director and safety manager work aggressively and proactively together in a coaching and mentoring to promote safety awareness in protecting our number one natural resource, our workforce. Ensuring our drivers and other drivers on the roads are safe is another priority of LMI. Through the use of Telogis by Verizon Connect, a program that tracks fleet data and driving behaviors, LMI is able to properly train employees on safe driving practices. This program allows us to groom our drivers for success through various coaching sessions to ensure drivers are going the speed limit, drivers are not suddenly stopping and accelerating, and safe driving practices are followed. Telogis paves the way to a safe commute when traveling around LMI vehicles. We are committed to protecting the safety and health of each employee as a value of the organization. To uphold this commitment, LMI safety policies meet or exceed OSHA / DOT regulations, and we proactively develop programs to prevent incidents and address job site hazards in our continued effort to achieve safety excellence. 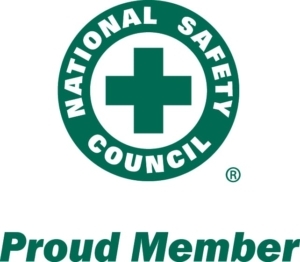 LMI became a proud member of the National Safety Council to ensure we maintain the high expectations set forth. We proactively develop programs and practices that prevent hazards from ever entering into our workplace. This allows our employees to work at an elevated level of safety and protection, never being exposed to some hazards. Training is another major component of LMI’s commitment to safety. We provide our employees with training prior to their first day at work and on a continuing basis throughout their employment to ensure they have not only the skills, but the knowledge to recognize potential hazards and eliminate or diminish them in order to work safely. Maintaining safety and health in the workplace allows us not only to protect our employees, but also to achieve our business goals and maintain our competitive edge. That competitive edge is what guarantees continuing success.